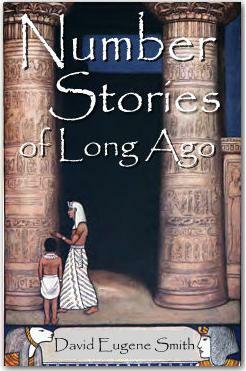 For all those who missed it last time, now is your chance: Number Stories of Long Ago will be available Tuesday, January 20, from Homeschool Freebie of the Day. David Eugene Smith tells stories set in different historical eras, showing how different mathematical concepts were developed and became a part of civilization. Wonderful! If you missed the Homeschool Freebies edition, Number Stories of Long Ago is also available as a real book or (at least in the U.S.) as a scanned library book from Google Books. Can you can put together a team of 2-6 middle or high school students for an afternoon of mathematical play? If so, then Dave at MathNotations is running a math competition you just have to check out. Teachers register by email on or before Thursday, January 29, and will receive the six thought-provoking contest problems and official answer form by return email. Hold the contest at your convenience on Tuesday, February 3, allowing your team up to 90 minutes to complete and electronically submit their answers. The Art of Problem Solving people recently announced their new Alcumus program, which provides online lessons on assorted math topics, including probability and combinatorics, which most math textbooks do not cover well, if at all. Alcumus currently complements our Introduction to Algebra, Introduction to Counting & Probability, Introduction to Number Theory, and Prealgebra textbooks, as well as our Algebra 1, Algebra 2, Introduction to Counting & Probability, Introduction to Number Theory, and Prealgebra 1 online courses. We expect to continue to expand topics in Alcumus. I am signing up all my MathCounts students. If you’re a homeschooler, we would love to have you join us! Use the digits in the year 2009 and the operations +, -, x, ÷, sqrt (square root), ^ (raise to a power), and ! (factorial) — along with parentheses, brackets, or other grouping symbols — to write expressions for the counting numbers 1 through 100. All four digits must be used in each expression. Only the digits 2, 0, 0, 9 may be used. The decimal point may be used, as in .9, .02, etc. Multi-digit numbers such as 29 or 902 may be used, but preference is given to solutions that avoid them. For this game we will accept: .